Graphic novels are hot, hot, hot these days. And, while the publication of Charise Mericle Harper's first book the Fashion Kitty series in 2005 was some two years ahead of Jeff Kinney's Diary of a Wimpy Kid, I think that it is fair to say that the widespread popularity of Kinney's graphics-laden tome has lead to parents being more open to buying their "chapter book" reading kids books with pictures. 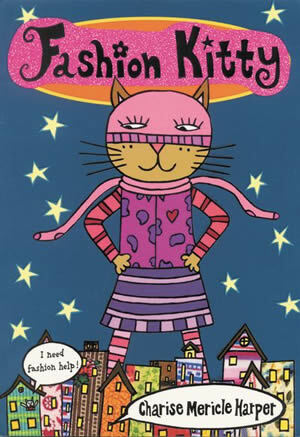 And I LOVE books with pictures, which must be why I love all the fabulous graphic novels for kids that are hitting the shelves these days, especially Fashion Kitty. Actually, I have one other reason for loving graphic novels. Graphic novels, specifically the fantastic beginning to read books put out by TOON Books are responsible for sparking an interest in reading independently for my seven year old son. While I think he is ready to give chapter books a try, he recently informed me that he is "only reading comic books right now," and, with the quality of what there is out there for him to read, I am perfectly happy to have him continue on. In fact, my son actually picked up Fashion Kitty the other day and began reading it, a bit to my surprise. I'll admit it, I assume that, as a boy, he has some innate gender-specific prejudices that lead me to believe he would not want to read a book that had the word "fashion" or "kitty" in the title, let alone both. But, as I secretly suspected and had confirmed when I read the dedication to Fashion Kitty and the B.O.Y.S. (Ball of Yellow String), boys will read what some of us may think of as a "girl book." 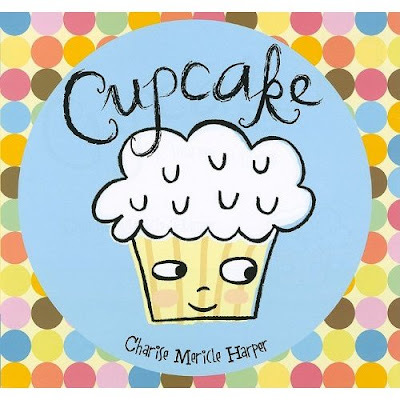 Harper writes, "This book is dedicated to all the boys who read it. Are you a boy? Are you reading this? Then that means you! . . . And to the girls: XO to you!!!" So, to all of you parents out there who think/thought the way I did, don't assume you know what your son will and won't read. 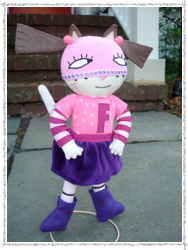 In book one, Fashion Kitty, we learn how the unassuming Kiki Kittie came by her superpowers. But first, we learn that the Kittie family is unusual for three reasons - they have a pet mouse, Kiki and her little sister Lana get to pick out all their own clothes, and they know the secret identity of Fashion Kitty. The unusualness of the fact that the Kittie family has a pet mouse is explained in great and humorous detail, as seen below. I really like Kiki's little sister Lana, and I am very happy that she has her own book - and it's a birthday story! 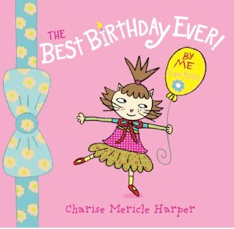 There are very few picture books that are birthday stories, so I always get excited when one is published. Charise recently was recently the subject of an interview over at Bookie Woogie , a very cool blog I have been meaning to mention here for a long time. Dad, Aaron Zenzis a children's book illustrator and author and he and his four oldest kids discuss books they are reading on this site. They have another site where the kids share their book inspired artwork that is super cool and full of great ideas. This site is called Chicken Nugget Lemon Tooty. Besides being a picture book creator, as the father of six children with a collection of over 1,900 books Zenz must have some favorites. He generously lists all thirty-two of his favorites,which is worth a look. 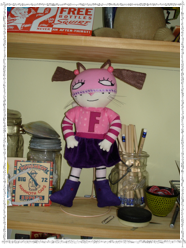 Charise has a FK doll that her mom made her and, in honor of their interview, Gracie, age 11 made a FK doll as well. Photos below! Charise's other series of books, Just Grace.